Ron and Maggie Tear Photography: Towards the Langdales. 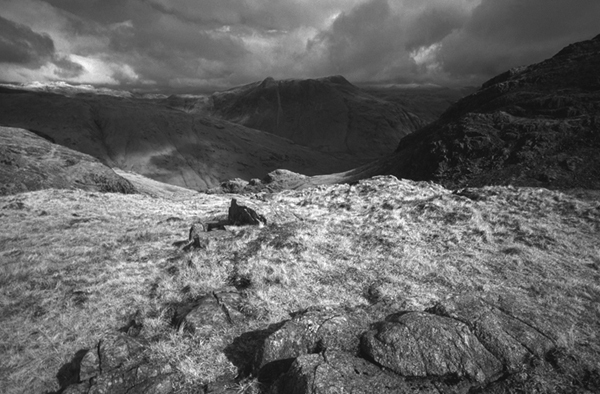 From Crinkle Crags, the inclement weather of the Lake district pronounced. The splash of light from a break in those clouds soon extingquished with rain !